Shallee McArthur is the author of The Unhappening of Genesis Lee, a sci-fi thriller about a girl who remembers everything, until the day she doesn’t. 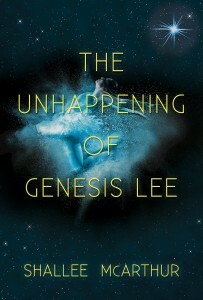 Don’t forget to find out how you can win a copy of The Unhappening of Genesis Lee at the bottom of the interview. SHALLEE: Ooh, a big question, that one! I believe science fiction is a wonderful way to explore all kinds of fascinating future possibilities, and YA is excellent at focusing a story tightly on a character. So I guess, to me, YA sci fi is finding out how a futuristic possibility impacts a specific character’s life and world. SHALLEE: Well, I think I became a sci-fi-geek in the womb. I grew up on a steady diet of things like Star Trek, Star Wars, and X-Files, so it’s a genre I’ve always loved. The flip-side to my geekdom is that I’m also a science nerd. I was the weird kid who spent my summers doing science experiments in my kitchen and staring at Jupiter’s moons through my telescope. I simply couldn’t NOT write science fiction! SHALLEE: That depends a lot on the individual books, I think. I do see less space opera aimed at YA (more YA space opera, please! ), and adult sci fi sometimes uses a different storytelling method—like focusing as much on a milieu or the science itself as it does on character or plot. YA tends to have stronger romance threads (yay kissing!). It definitely depends on what books you’re comparing, though. I’d LOVE to see a wider range of YA sci fi consistently on book shelves, just like I do on the adult sci-fi shelves! BELINDA: In your bio, you mention that you’re raising your children to be ‘proper little geeks’ (awesome), how much of that and your love of Africa has influenced The Unhappening of Genesis Lee? SHALLEE: Ha! Yes, I dearly love my little geeks. Passing on my love of science and science fiction is part of not just my parenting methods, but why I write sci fi. With Genesis Lee, I really wanted to delve into the psychological impact of the science of memory—and what happens when it’s lost. It’s something very personal to me, especially having had a grandmother who struggled with Alzheimer’s, and I knew it mattered to a lot of other people as well. As for my time in Africa, it impacted this story in one big way—the worldbuilding. Having the incredible experience of being immersed (fairly) long-term in a different way of life, I wanted to show that in my books. Our culture and world is a big part of who we are! 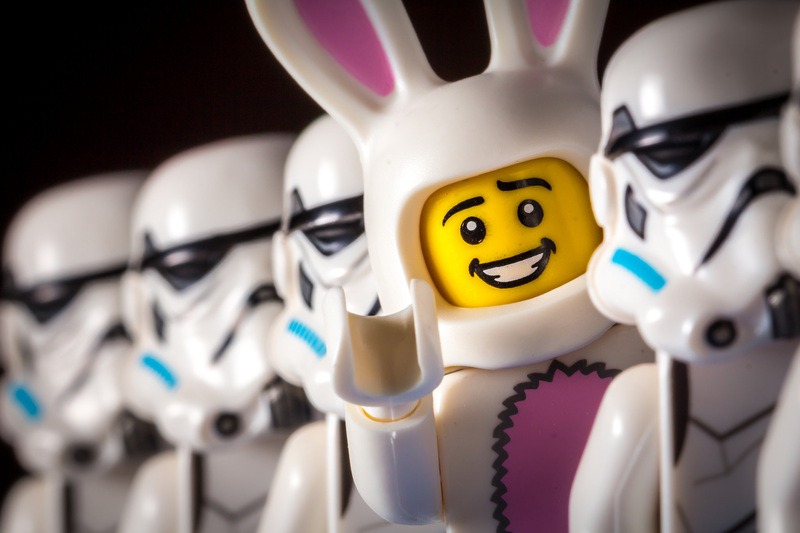 BELINDA: As a science nerd, are there things that sci-fi books get wrong that really bug you? SHALLEE: I’m more or less of the opinion that if the writer can make it work for the story, it works for me. But for me personally, it will completely throw me out of the story if a basic law of nature is broken. I’m all for stretching the science—it is science fiction, after all—but I can’t suspend my disbelief if the basic foundations are broken. BELINDA: What are some of your favourite YA sci-fi books? SHALLEE: Ooh, yay! One that I ADORE is the Partials trilogy by Dan Wells. It’s got some dystopian flare, but what I really love about that one is how the science merges with the near future to seem so possible. In the space-sci-fi area, I also enjoyed These Broken Stars. It gave me something unexpected, and I always appreciate that! And I have to throw this in, even though it’s not YA, because it’s my favorite sci fi in the entire world: anything in the Vorkosigan Saga by Lois McMaster Bujold. Absolutely brilliant in every way, and SO fun! 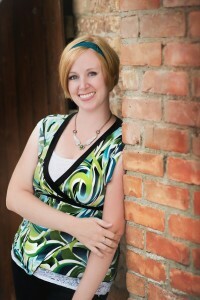 Shallee McArthur is the author of The Unhappening Of Genesis Lee. She originally wanted to be a scientist, until she discovered she liked her science best in fictional form. When she’s not writing young adult science fiction and fantasy, she’s attempting to raise her son and daughter as proper geeks. A little part of her heart is devoted to Africa after volunteering twice in Ghana. She has a degree in English from Brigham Young University and lives in Utah with her husband and three children. Find out more about Shallee and her books on her website, or follow her on Facebook and Twitter. 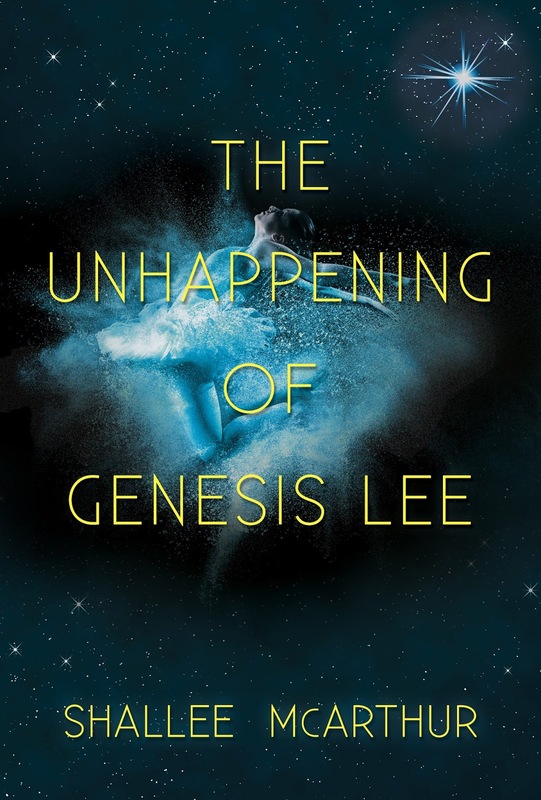 Win a copy of The Unhappening of Genesis Lee, along with six other awesome YA sci-fi books, in our giveaway running from 8 April 2016 to 10 April 2016. Feature image courtesy of clement127 (via Flickr). Used with a Creative Commons license.